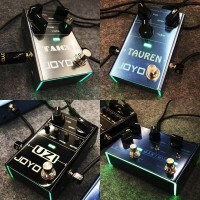 The JOYO Pedals JF01 series are the 1st generation of pedals from JOYO. Heavily inspired by some classic guitar effects, the original series of JOYO pedals are very well built, enclosed in aluminium alloy cases and stand the test of time. Over the time, the pedals have been used, discussed, demonstrated, modded and even rebranded. Underneath the rebrand, some called it 'boutique' we have the JOYO technology. 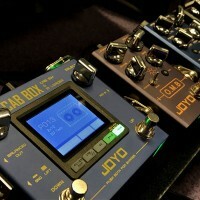 JOYO effect pedals have established themselves as an affordable alternative, but do not fail on the tone achieved. With great reviews and you tube demonstration videos a plenty to support a reason to buy, you will be sure to find an effect that suits your tone. On the website each product from the JOYO pedals 1st series has a demo to listen to and are often supported by customer reviews. Choose pedals from compression, classic vintage overdrives, distortion, fuzz, chorus, tremolo, chorus, delay and amp simulation, JOYO Pedals offer a comprehensive range of affordable gear & we know it sounds good!